"You are here to evolve in your ability to love and to fully manifest your gifts upon the planet. Each person is a spark of the Divine – an individual expression of the whole which is God, and as you evolve, the Love-which-is God evolves." The shivers throughout my body told me I was hearing the truth. Since then, learning to love myself and others has been my inspiration. I came into life as a highly sensitive, empathic child who felt everyone's feelings. The only child of tuned-out and disconnected parents, I felt their pain acutely. Not knowing how to help them any other way, I took on their pain and by the time I was five, I was a wreck. My mother, a rageful narcissist, took me to a psychiatrist. He spoke with me and then my mother, and then he met with both of us. "Tell your mother not to yell at you," he said to me. I looked at him, stunned that he would say this to me rather than to my mother. "I'm five years old,” I thought. “She doesn't listen to me. You tell her." My next thought was, "I can do a better job than you." From that moment on, I knew I would be a psychologist. I wanted to help people. Not only did I often feel others' feelings - I was the person others came to for help. When I was six, I had a profound out-of-body experience that showed me I was not my body. The feeling of love and peace was like nothing I had ever experienced. I became inspired to find a way to feel that while I was present in my body. I knew that in order to “midwife” others in their healing, I needed to heal myself, so I embarked on my inner journey at age 20. I worked with every kind of therapist and modality I could find, and I sought to connect spiritually through different meditation practices and with a guru. I became a psychologist and practiced traditional psychotherapy for many years. During that time, I was profoundly inspired by two of my friends and mentors, Dr. James F.T. Bugental (The Search for Existential Identity: Patient-Therapist Dialogues in Humanistic Psychotherapy) and Dr. Bill Ofman (Affirmation and Reality: Fundamentals of Humanistic Existential Therapy and Counseling). Their teachings became the basis of what would later evolve into the powerful Inner Bonding process. After 17 years practicing traditional psychotherapy, I was profoundly disillusioned. Not only was I still not a peaceful and joyful person – even with all the therapy I'd had – but I was frustrated with the level of healing achieved through traditional psychotherapy. I wanted a process that worked fast and deep, that people could use on their own – rather than always having to run to me for help. I started to pray for a teacher to come into my life, and that's when Spirit – through a mutual friend – introduced me to Dr. Erika Chopich, 31 years ago. Erika had half the Inner Bonding process and I had half, so of course Spirit brought us together to channel Inner Bonding through us. Through my Inner Bonding practice, I finally found peace and joy. Erika, my dearest friend and business partner, has been a major inspiration for me. She is a miracle, growing up with extreme abuse, but always managing to keep alive her ability to love, and her passion for living. She is the person I go to for help, comfort and inspiration. Over the years, Inner Bonding evolved into a profound self-healing psychological and spiritual process. The Six Steps of Inner Bonding have become a roadmap for learning to love yourself so you can share your love with others. The practice of Inner Bonding leads to discovering your unique gifts – your passion and purpose, and what has heart and meaning for you - so you can offer those gifts to the planet. Sixteen years ago, I embarked on a project to make the Inner Bonding process available to anyone who desires this level of healing. I began creating a computer program called SelfQuest that teaches Inner Bonding in an in-depth way. I'm very excited that it is now available for Mac, PC and iPad, and will soon be released online, as well as in Spanish. We also have a non-profit that is devoted to putting Inner Bonding into high schools and prisons. My passion and purpose is to continue evolving in my ability to love, through my Inner Bonding practice, and to make Inner Bonding available to anyone who is motivated to self-heal. I also find much inspiration in my family – my children and grandchildren, through painting and making pottery, through my horses and dogs, and through my love of nature. 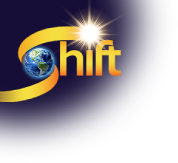 Dr. Margaret Paul is a beloved faculty with The Shift Network. Her next course, The Power to Heal Yourself, will begin in late May. To learn more, click here. Margaret is the co-creator of Inner Bonding®, along with Dr. Erika Chopich, and author/co-author of several best-selling books, including Do I Have To Give Up Me to Be Loved By You?, Inner Bonding, Healing Your Aloneness, The Healing Your Aloneness Workbook, Do I Have To Give Up Me to Be Loved By My Kids?, and Do I Have To Give Up Me To Be Loved By God? Dr. Paul’s books have been distributed around the world and have been translated into eleven languages.